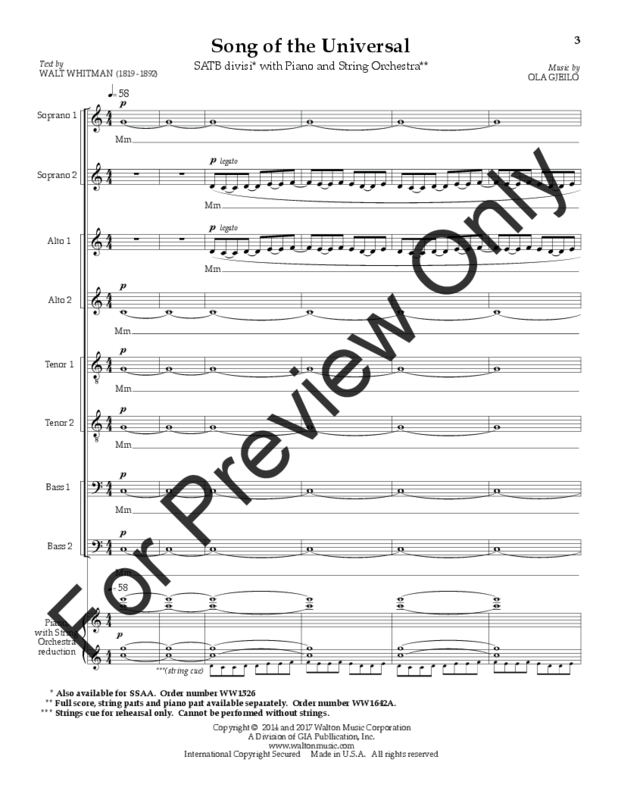 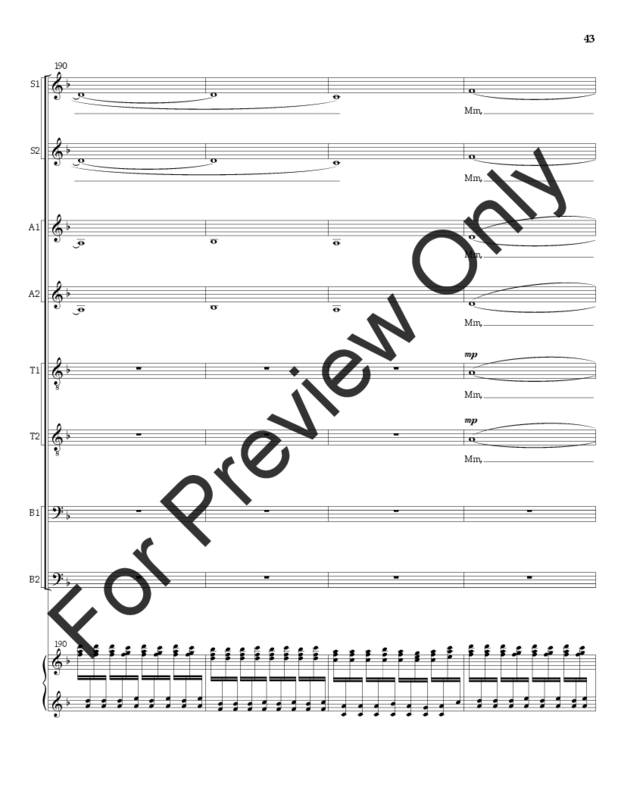 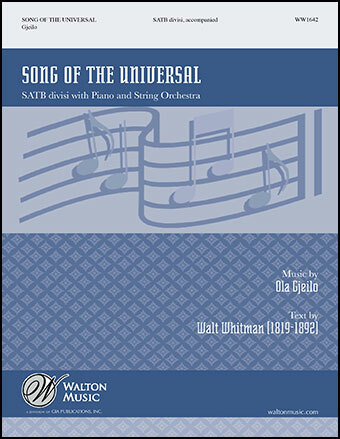 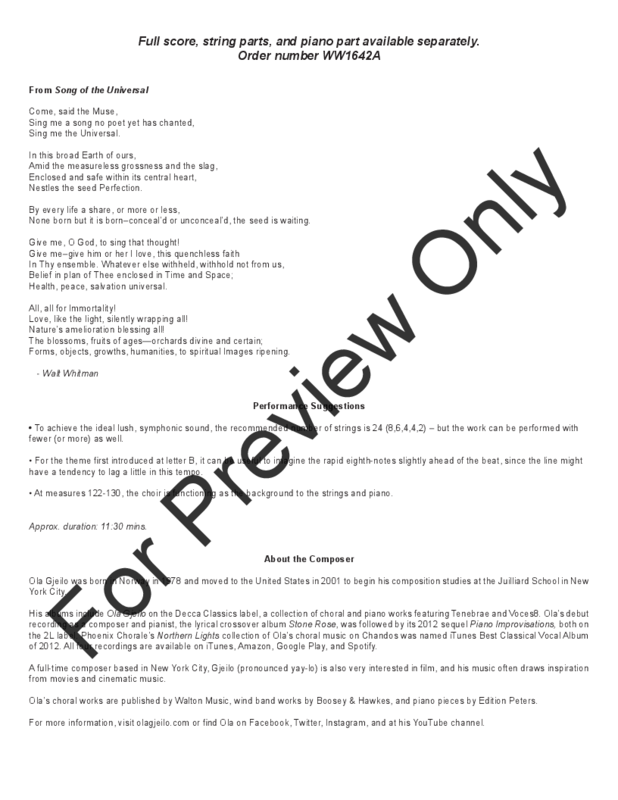 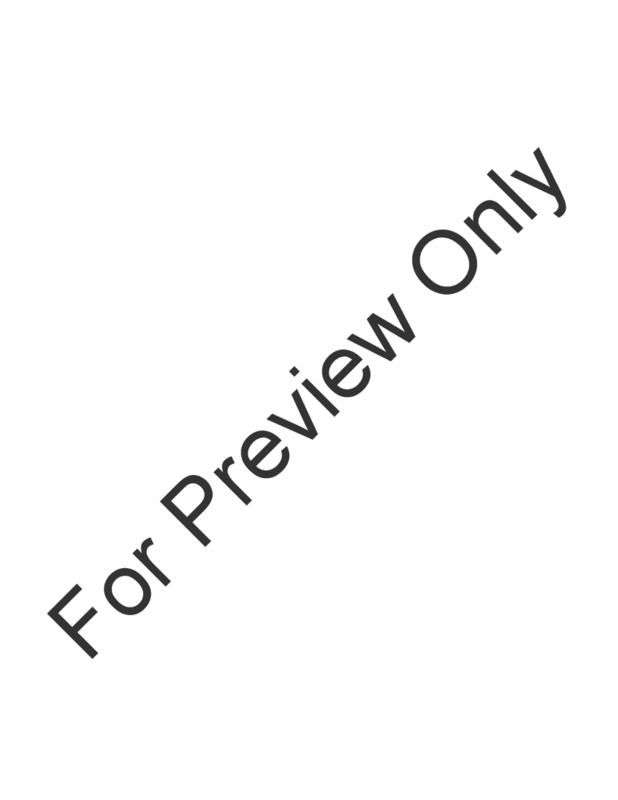 An SATB adaptation of Ola Gjeilo's Song of the Universal. Walt Whitman's unabashed optimism, exuberance, and unwavering confidence in our deeper humanity is beautifully portrayed through music. 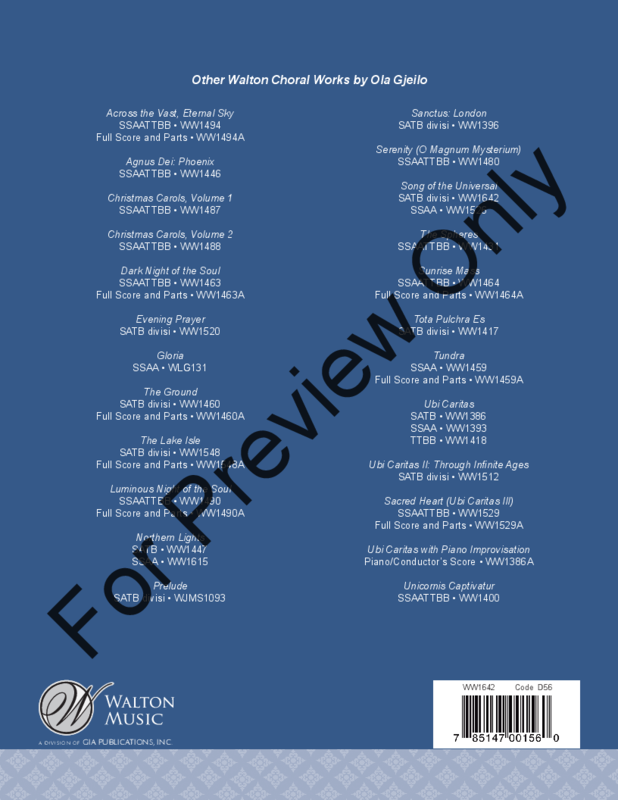 For string orchestra, piano, and choir, this work will be a grand addition to your choir's repertoire.